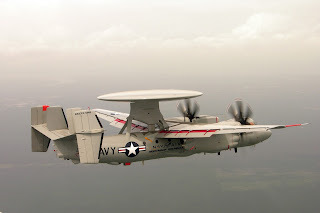 WASHINGTON, -- The US Department of State has approved sale to Japan of four Northrop Grumman E-2D Advanced Hawkeye airborne early warning and control (AEW&C) aircraft, the Pentagon announced on 1 June. The deal, worth approximately USD1.7 billion, includes the aircraft, 10 engines (eight installed and two spares) and four APY-9 radars, the Pentagon's Defense Security Cooperation Agency (DSCA) said in a notification to Congress. Tokyo would use the E-2D to provide AEW&C situational awareness of air and naval activity in the Pacific region and to augment its existing 13-aircraft E-2C Hawkeye AEW&C fleet, according to the announcement. The E-2D would enter service by 2019, eventually replacing the E-2C. "Japan is one of the major political and economic powers in East Asia and the Western Pacific and a key partner of the United States in ensuring peace and stability in that region," the DSCA said in the notice to lawmakers. The sale "will not alter the basic military balance in the region", it added. The Northrop Grumman E-2D Advanced Hawkeye all-weather, carrier-capable tactical airborne early warning aircraft.